I always like to have one for a friend and one for me, so I just had to make another. I didn't want to two to be the same so I made a different one this time. 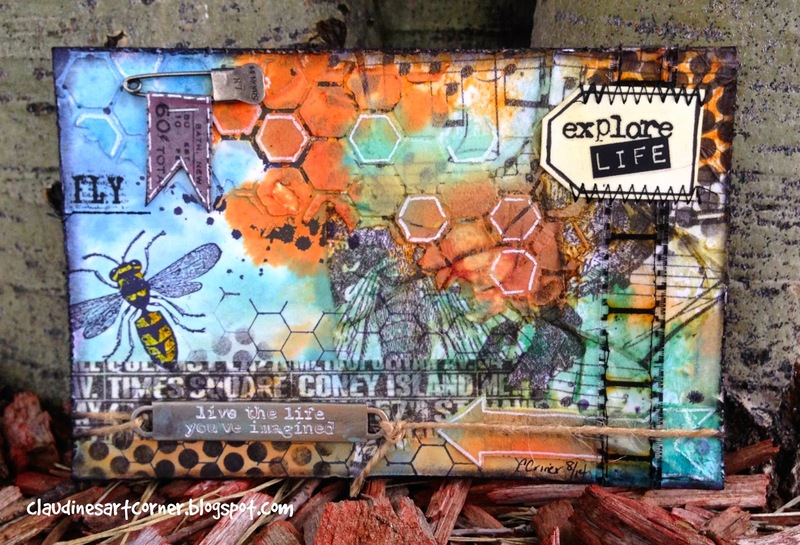 I used Tim's Word Band, ideology trinkets, stencils, remnant rubs, stamps, distress inks and much more on this postcard, how fun to put so many wonderful products together in a mixed media piece!!! I think I'm in love with this one, I just love the way the color came out. Hope you have enjoyed my postcard today, have a wonderful Labor Day weekend!!! 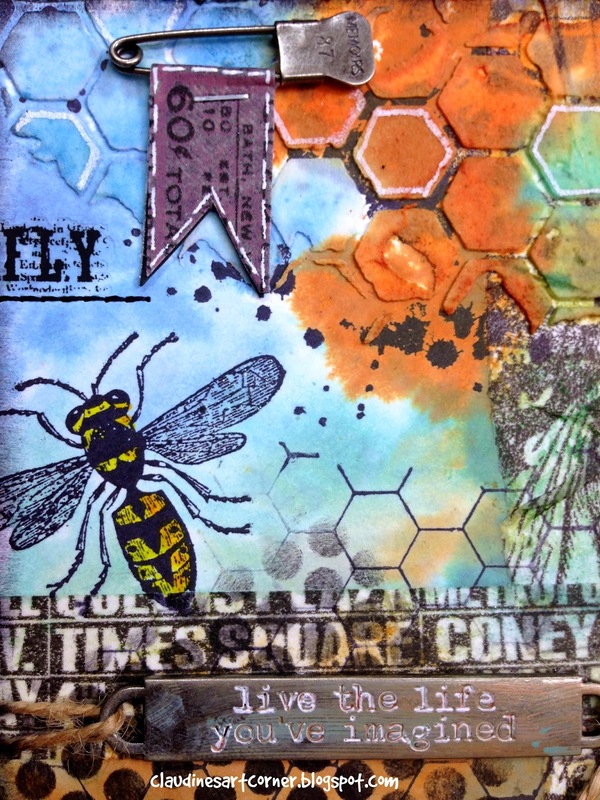 Love the bright colors and the hexagon stenciling! 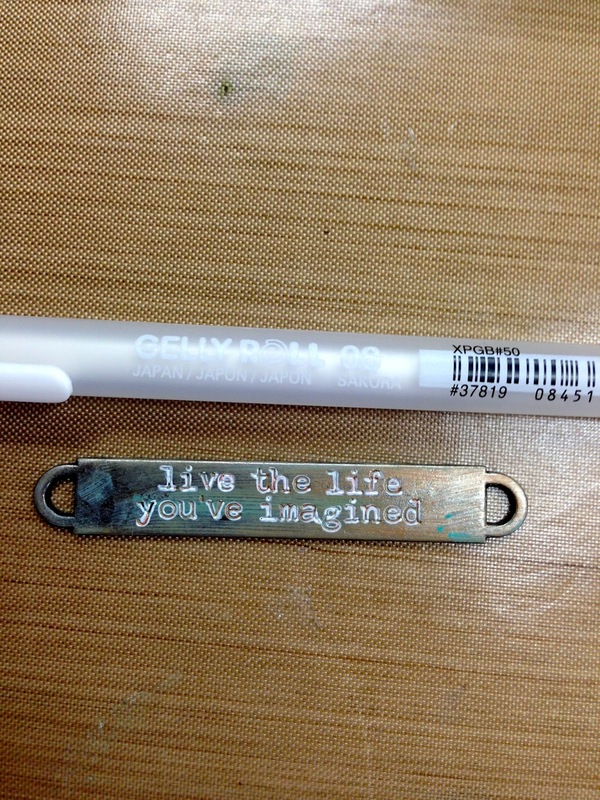 and the pin with the banner clipped on it! 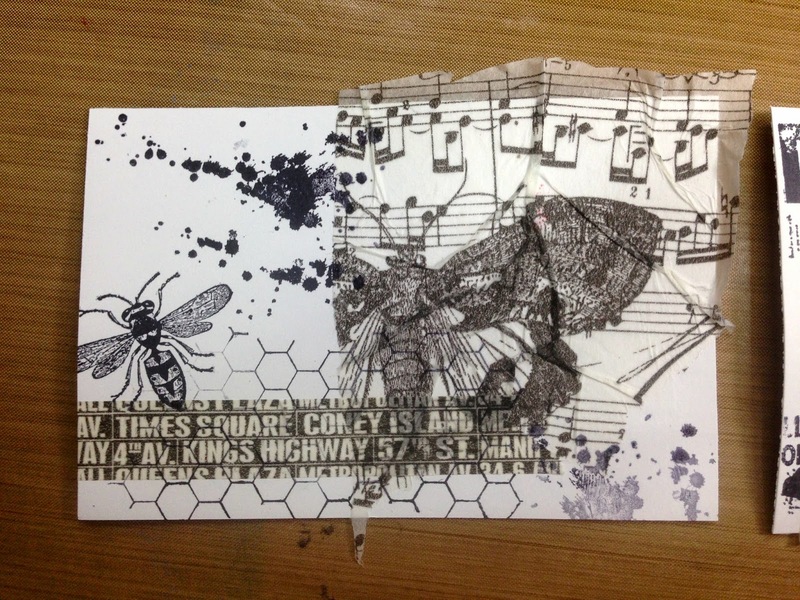 Great postcard, Claudine - beautiful colors and design - thanks so much for sharing the "how to." Awesome postcard! 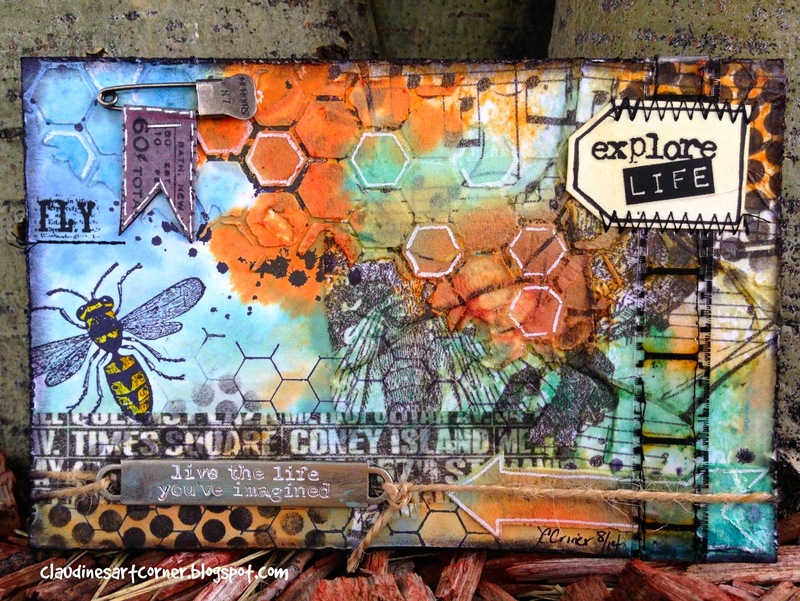 LOVE the bee and all the color! Fab take girl! Love this postcard, Claudine! Great vintage colors immediately draw my eye for a closer look! Brilliantly designed!